I believe in Luck. Andrew Luck, quarterback of the Indianapolis Colts. 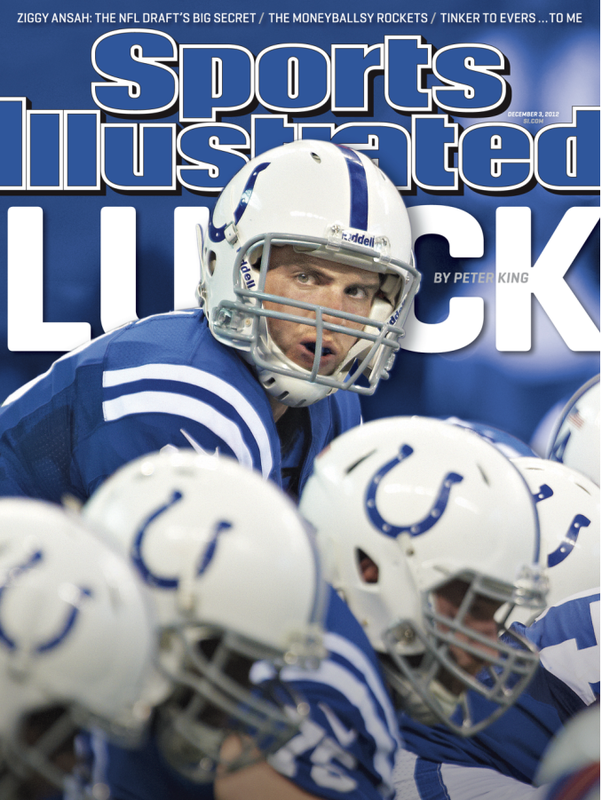 In October 2013, Luck and his team bested his predecessor, Peyton Manning and the previously undefeated Denver Broncos in Peyton’s return to Indy, the most anticipated game of last season. And now, in the Divisional Round of the Playoffs, with Luck on their side, Indy bested Manning again. Quarterback Andrew Luck has shown that he’s got skills before, as he was the runner-up for the Heisman Trophy in both 2010 and 2011, but now I’m really believer. I believe in Luck. Andrew Luck. While I believe in Andrew Luck, as he has proven that he can “hang” with best of them, I know that there’s no such thing as luck. Luck or chance is an event which occurs beyond one’s control, without regard to one’s will, intention, or desired result. Saying it was luck or attributing anything to luck denies that God is in control. We need to give credit where credit is due: the credit for everything that happens to us is God’s. There’s no such thing as luck, because God is alive and well. He cares about us, and is involved in our lives. While I believe in Andrew Luck, I firmly believe, trust, rely and depend on and have faith in God. Not luck. Not fate nor flukes; not chance or coincidence; not happenstance or circumstance; I believe God. God has blessed us, so we don’ t have to resort to luck. Unfortunately, we don’t trust God like we should all of the time. We hope and we wish, but we don’t trust the Lord with all of our hearts. Instead we lean to our own understanding. Such was the case when it came time to choose a replacement for Judas; unfortunately Peter relied on chance, not God. Let’s trust God to determine our steps. Let’s trust God to determine how the chips will fall. He knows what’s best for us, and if we acknowledge Him in all of our ways, He will direct our paths (Proverbs 3:6). So, let’s root for the up and coming Andrew Luck OVER Tom Brady and the New England Patriots next week in the 2015 AFC Championship Game; and let’s NOT believe in Lady Luck, and leave it at that. I agree my friend. However, it will take more than Luck, Andrew, to beat Brady. But that’s not the real issue. Can anybody beat Seattle? The team with the Westbrook!